If your art is nature based, still-life, whimsical, or abstract in any medium then this book is for you! Looking to sell more of your art? Wish you had an agent? If your art is nature based, still-life, whimsical, or abstract in any medium then this book is for you! Why it pays The corporate, healthcare, and hospitality art markets are especially lucrative markets looking for multiple artworks at a time. Unlike working with galleries, there is no consignment involved which lets you build your business faster! How to do it This short and sweet e-book helps you understand the channels and guides you through the process of entering and successfully navigating these markets. Who to contact The leg work has been done for you! Here is where I share my rolodex. 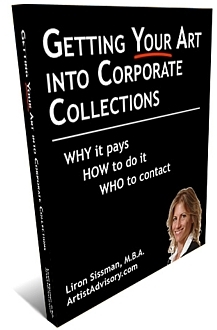 This book provides a unique, comprehensive list of key industry contacts.